WorldHotels, a global brand representing more than 350 independent hotels around the world, congratulates bai Hotel Cebu on its grand opening ceremony last Friday in Cebu, Philippines.Conveniently located between the bustling cities of Mandaue and Cebu, bai Hotel Cebu is a mere 25-minute drive away from Mactan-Cebu International Airport and is one of the largest properties in the city catering to both business and leisure travelers. The domestic seaport of Cebu is a 10-minute drive away while Cebu Business Park and Cebu IT Park are 25 and 20 minutes away respectively. Popular tourist attractions in the city such as the Fort San Pedro, Basilica Minore del Santo Niño de Cebu and Magellan‘s Cross Monument are easily accessible by car or public transport. A local independent hotel fully equipped to outstanding world class standards, bai Hotel Cebu offers travelers 668 rooms with spectacular harbor and city views, all of which are designed in contemporary hues and equipped with modern amenities for security and a good night’s sleep. For guests who prefer larger spaces with personalized service, the hotel’s Executive One Room suite is an excellent choice with perks such as a 24-hour butler service, complimentary two-piece laundry and shoe shining daily. Meeting facilities are aplenty at bai Hotel Cebu, with 12 function rooms to boast. With over 1,980 square meters of event space for up to 1,500 pax, the hotel is truly the ideal location for events of all kinds, from the most intimate to the grandest of affairs. Conference and events services, a business center and serviced offices are also available upon request. 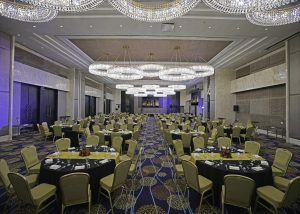 For upscale events, guests can consider the Lapu-Lapu Grand Ballroom, which can accommodate up to 400 pax and features a built-in LED video wall, two projector screens, elegant chandeliers and space flexibility. Hungry guests can select from 8 restaurants and bars, each offering various cuisines, notable wines and fine spirits. To rest and recharge, the hotel has a spa, infinity outdoor lap pool and a well-equipped fitness center with sauna and steam rooms. Little ones can also look forward to a splashing good time at the kiddie room and pool, where toys and games await. 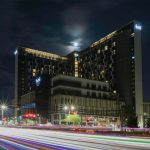 “With Cebu being the second largest city in the Philippines, we are happy to offer bai Hotel Cebu, the newest lifestyle hotel, to both business and leisure travelers as our latest affiliate hotel in the country,” said Roland Jegge, President APAC of WorldHotels.